As this year comes to a close, I enjoy taking a few moments to look back on the past twelve months. It has been another great year here at Grow a Good Life! I am privileged to have added so many wonderful readers, and I have made so many new on-line friends. Thank you so much for reading, commenting, sharing, pinning, and subscribing to the newsletter. I continue to be inspired by your thirst of knowledge on how to become more self-sufficient, creative ways of growing your own garden, and methods of preserving fresh food to enjoy later. The end of the year is always a good time to reflect on the articles that received the highest views, so I can see which posts you find the most helpful and useful. 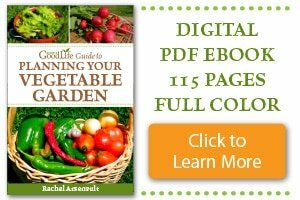 Reviewing the most popular gardening posts helps me understand what kinds of information you are looking for and will shape the articles I write in the year to come as we share the journey to Grow a Good Life. 10. 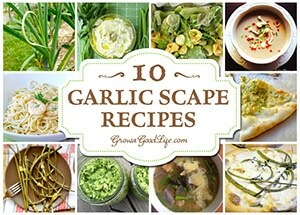 10 Ways to Use Garlic Scapes: Garlic scapes, also sometimes called garlic stems, stalks, shoots or spears, are the flower stalks that hardneck garlic plants produce before the bulbs mature. Check out this gardening post for some wonderful recipes that allow the delicate garlicky flavor shine. > Pin it for later. 9. 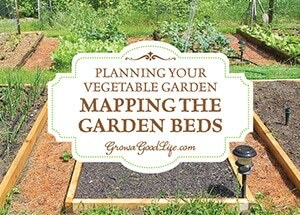 Planning Your Vegetable Garden: Mapping the Garden Beds: Before sowing a single seed, it is helpful to sketch a map of the garden so you know how many seedlings you will need, where they will be planted, and how you can keep each bed producing all through the growing season. Learn some things to consider when planning the garden. 8. How to Grow Summer Squash Vertically: Using a trellis or tomato cage helps to keep summer squash from flopping into the walking paths. It also saves space, encourages air circulation, and allows the squash to be more visible reducing the chance of overgrowth. 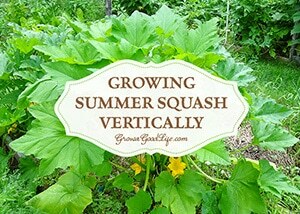 See how easy it is to grow summer squash vertically. 6. 3 Ways to Preserve Zucchini: Zucchini and other Summer Squash are very prolific. It is easy to become overwhelmed by the harvest bounty collected from even a few plants. 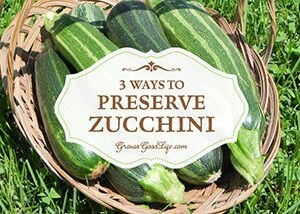 Here are three ways to preserve zucchini to help you deal with the abundant crop that just keeps on giving. 5. 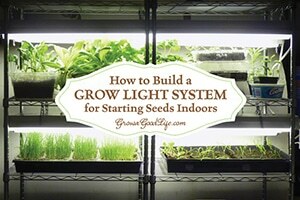 How to Grow an Indoor Garden: Whether you are craving freshly grown harvests during the winter or live in an area without gardening space, you can still grow edibles in your own indoor garden. 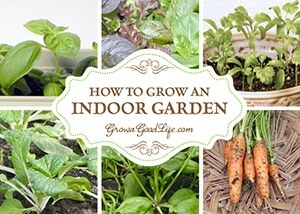 See what you can grow indoors. 4. 6 Potato Planting Methods for the Backyard Garden: Potatoes are easy to grow and store well over winter providing a nice addition to stews and roasts. Different growing methods work at different locations. 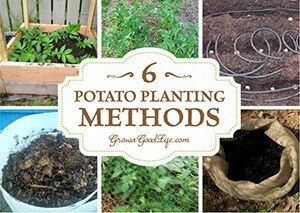 Here are six different potato-planting methods for you to experiment with to grow your own food storage. 3. 5 Steps to Storing Potatoes for Winter: Potatoes are easy to grow, store well through the winter, and provide a nutritious addition to most of our meals. Do you grow your own potatoes or buy in bulk from a farmer’s market? 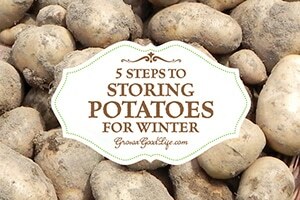 Check out 5 easy steps to storing potatoes for winter. 2. DIY Self Watering Containers: Many versions of self-watering containers, also known as self watering grow boxes, self watering pots, and self-watering planters are sold online, but you can make them yourself for a fraction of the cost out of some easy to find items. 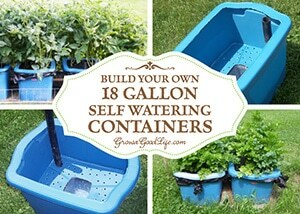 See how you can build your own out of an 18-gallon storage tote and begin gardening this spring. > Pin it for later. 1. Grow Herbs Indoors: 5 Herbs that Thrive Inside All Winter: This post is the most popular on this website by far. 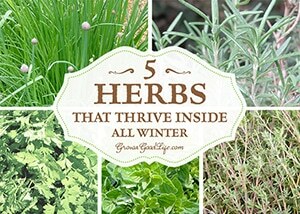 It seems many of us desire fresh herbs through the winter months. These herbs can be grown indoors successfully through winter on a sunny windowsill and tolerate decreased winter sunlight and mild temperature fluctuations. See my Top 5 Herbs to Grow Indoors All Winter. > Pin for later. Did your favorite gardening post make the list? 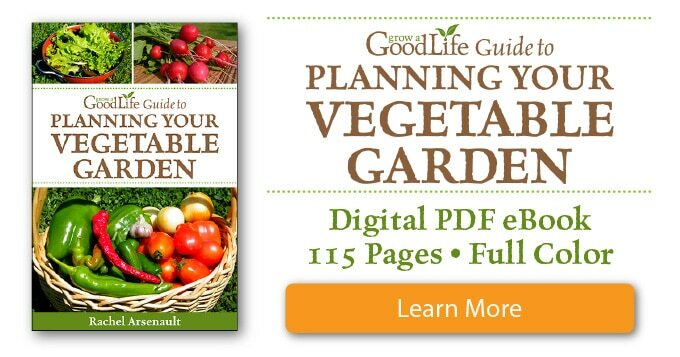 This year, Grow a Good Life saw a lot of growth both in readership and in the garden. Like each year, the garden experienced both triumphs and disappointments. On the good side, tomatoes were a huge success this year. We also had a bumper crop of apples. On the bad side, the deer were disastrous to the garden and reduced the yield of summer and winter squash, pumpkins, melons, and cucumbers. The New Year brings a new gardening season, a fresh beginning. We celebrate the successes and hope for the best for the upcoming growing season. What are you planning for next year? If you are just starting out with gardening, check out my garden planning series beginning with getting organized and making a seed list. Then move on to mapping out the garden beds, developing a seed starting schedule, and how to harden off seedlings before transplanting to the garden. Thank you again for your continued support and for being a part of the Grow a Good Life community. I have some exciting things in store for next year. Be sure to subscribe to the Grow a Good Life Newsletter so you will be the first to know. Oh – thank you! I used the potato tower method of growing potatoes again this year and ended up with a very disappointing harvest, but didn’t know why. I just read in the article on 6 methods of growing potatoes and realized when I read the note in bold that I had used the wrong type of potato! No wonder I didn’t have many Yukon Golds! I am so glad to find out that I’m not such a bad gardener, just a bit ignorant. 😉 Well, you live and you learn – thanks for teaching me something today! I too am thankful that Sinfonian shared not only how to build the bin, but the progress of the potatoes from planting to harvest. There were a lot of bloggers experimenting with the potato tower at the time. The most successful were the ones who planted late season varieties and kept the soil watered down to the roots. Rachel, did you see my post about the affordable deer fence I made for the 2015 garden? Love your blog, and you saved me with your recommendation of Tailwind! I love it, thank you so much!! Lee, Thank you for reminding me about your Affordable Deer Fence post. I read it last year, but forgot about it. We did something similar, but not as high as you recommend. Thanks, we will give this a try next year in addition to some other attempts of deer proofing. Well, I’ve tried to comment twice now, but my laptop was somehow messing things up….third time is the charm, right? Your articles are always informative and a great read, Rachel. I look forward to picking up many more tips from you in the new year – Happy New Year to you and your family!